1, It is considerate for travel agent to provide travel adaptor for traveller who is going to have international trip that may need it to convert plug to use their electric appliance. 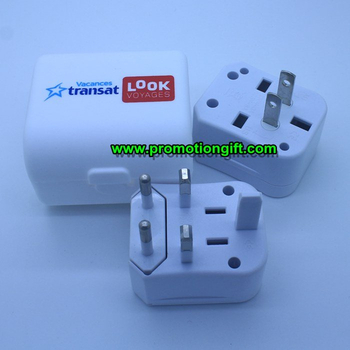 2, With EU, UK, Australia, US, Japan, China plugs, for guests from almost all around the world. 4, Unit size:60*51*42mm; printing area: 45*30mm.